The Guardian reports that the 13th November performance of Richard II will be filmed to stream live to cinemas worldwide and on 15th November to 1,000 British schools followed by a Q&A. Illuminations blog has more details about the project. Doctor Who News reports that two new Doctor Who books will be published later this year which include David Tennant's era. The Doctor: His Lives and Times by James Goss and Steve Tribe will be published on Thursday 26th September. Digital Spy reports that David Tennant programmes Broadchurch, Twenty Twelve and Tree Fu Tom have all been nominated for various Freesat Awards. 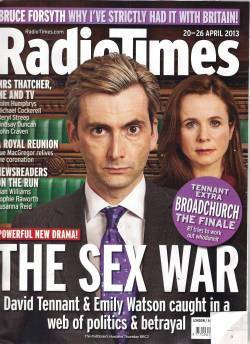 Scans of David Tennant talking about Olivia Colman in Radio Times have been posted to Tumblr. 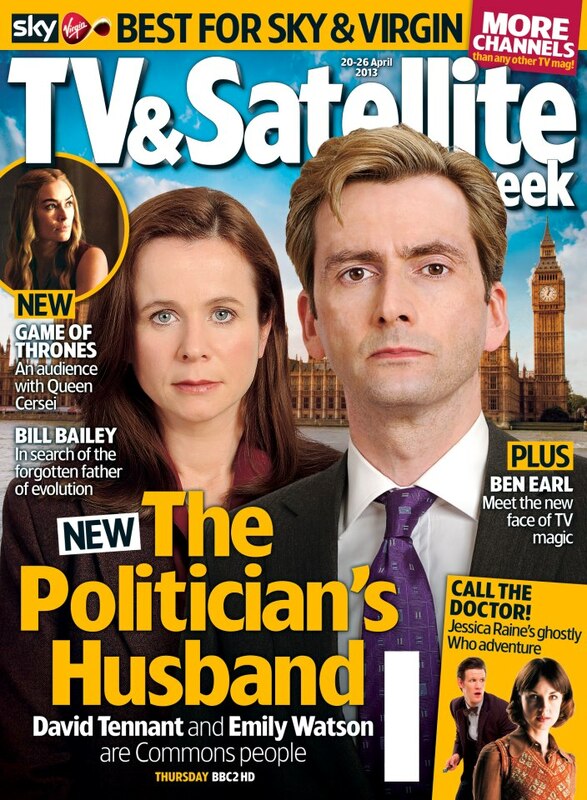 An article on The List says (misleadingly) that David Tennant will appear in Hannibal on Sky Living playing a serial killer. However, the article seems to be taken from the Daily Star interview with Hannibal showrunner Bryan Fuller who only says that he would like David to appear in the series which starts on 7th May. 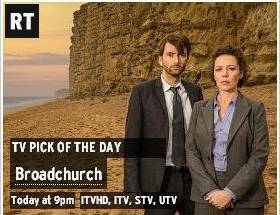 The Mirror reports that David Tennant, Olivia Colman and Broadchurch are all bookies favourite to win BAFTAs for Broadchurch. 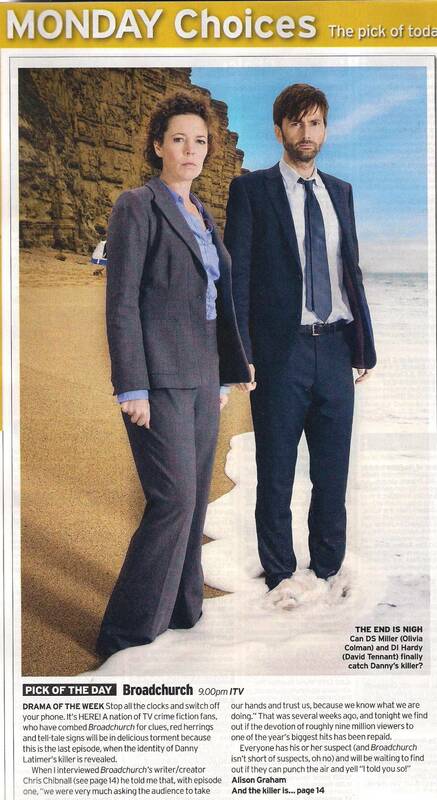 Bridport News has an article titled "Broadchurch fever reaches a peak in West Dorset." 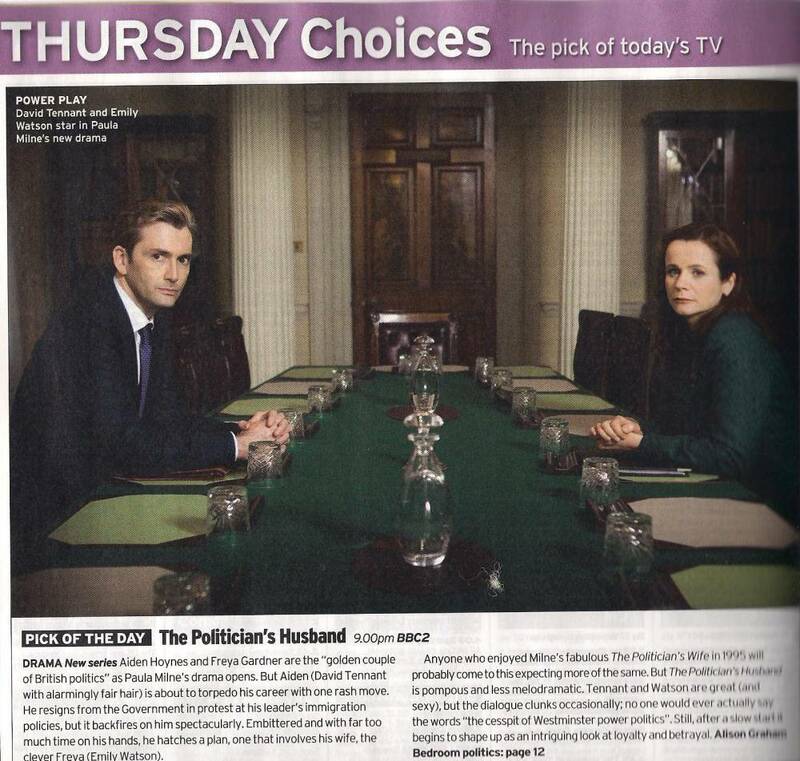 Broadchurch is Radio Times Top TV Pick Of The Day. 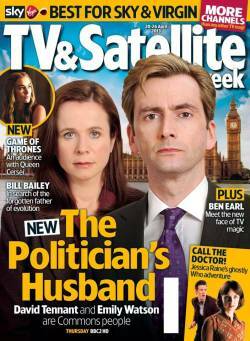 Female First has an interview with Tanya Franks about Broadchurch and other projects. Guardian says that Broadchurch last night received 6.6 million viewers which was 25.7% of those watching television at that time. The Independent reports that the David Tennant narrated Twenty Twelve has been nominated for the Situation Comedy BAFTA Award.